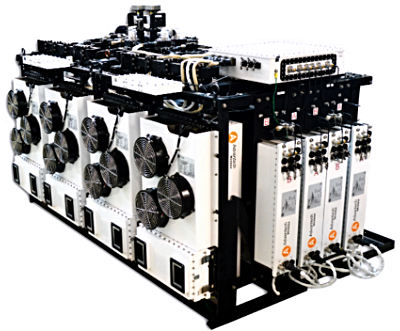 Advantech Wireless has completed the delivery of the firm's 3kW C-band Outdoor Modular/Summit™ Solid State Power Amplifier (SSPA) System to a major satellite service provider. The design of the 3kW C-band Outdoor SSPA is based on Advantech Wireless’ industry-proven reliable SSPAs and more than 25 years of experience with high-reliability systems. Designed to be used as direct replacement of older generation Klystrons or TWTs, these very high power, all outdoor ruggedized systems allow operation over the entire C-band spectrum with multiple carriers.